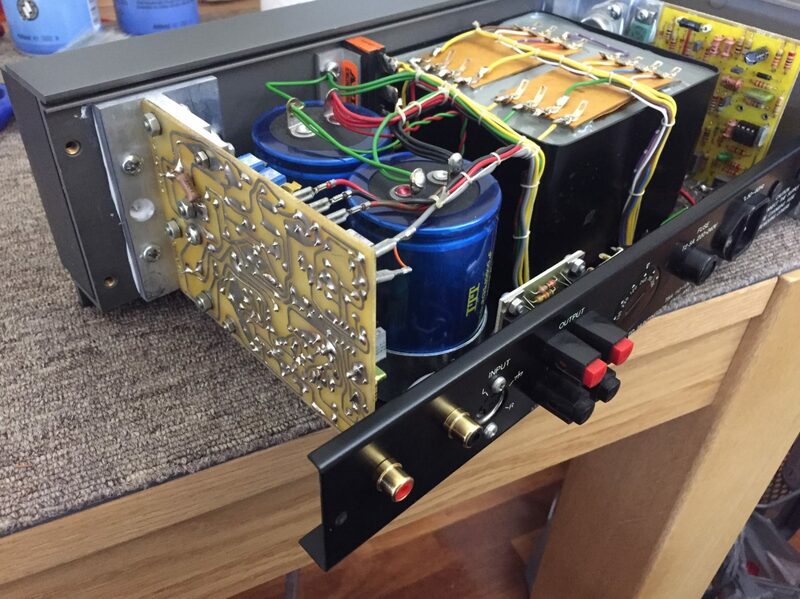 Talk about great sounding amps, and this particular 405 is completely original, with its original capacitors and connectors. The owner wanted me to freshen her up and fit some RCA connectors, so that’s what I’ve done. Let’s look briefly at what’s involved in a Quad 405 service like this. By the way, if you want to read or find out more about the Quad 405, check out my Quad 405 restoration article and my comprehensive review. I try to keep this simple, a freshen up is not a full restoration. A service like this focuses on reliability improvement and bang-per-buck sonic gains. I start by carefully inspecting the 405 and looking for any signs of parts failure or earlier poorly executed work. Lovely, simple, elegant, retro – what’s not to love about a 100 watt per channel amp this small and cool-looking?! That’s all there is inside. Less really is more with the 405 and these amps prove it. 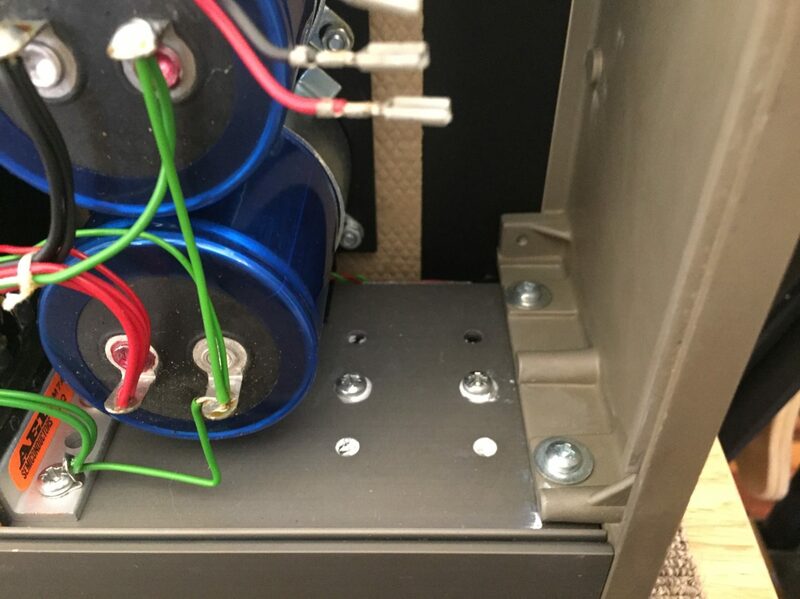 Centrally, there’s a large, high-quality potted transformer, to the left of which lie two decent-sized filter capacitors. 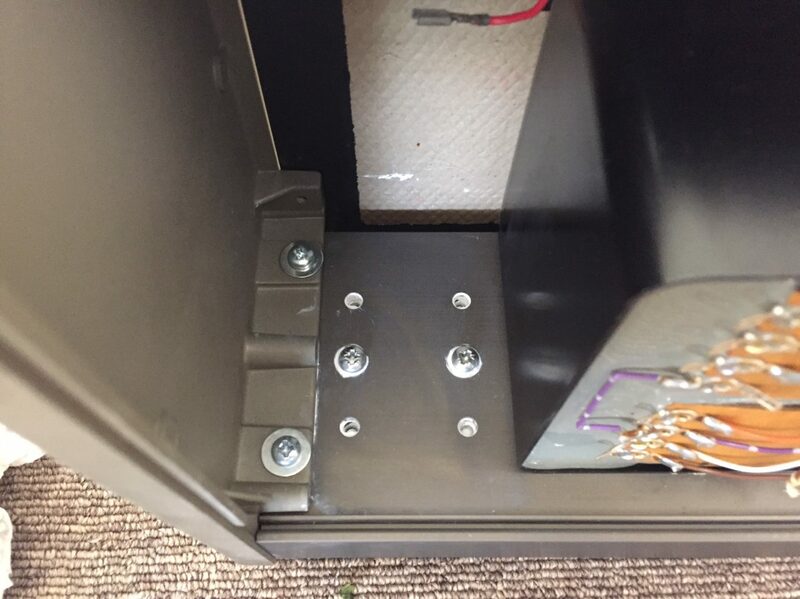 These capacitors will stay in place for this service. So English, this beautifully executed wiring loom really is a blast from the past. If only equipment were still made like this. Note the crappy looking ERO caps, one covered in I don’t know what. These always fail, in this 405, two out of four measured leaky and had ridiculously high ESR. the next step involves removing both amplifier modules and cleaning all the old thermal compound from modules and heatsink. Four screws hold each module in place, remove them and the connectors, and the module just pops out. All the old thermal paste must be removed. 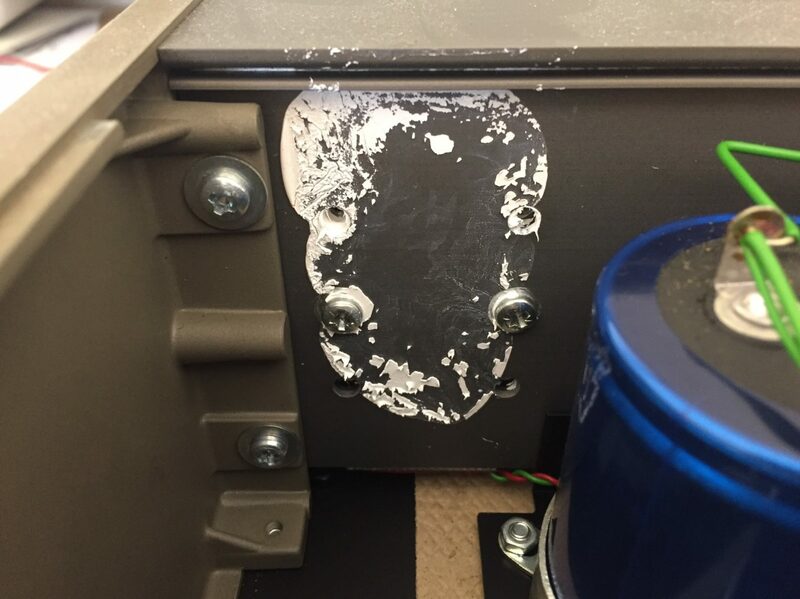 This is how both surfaces should look before adding fresh silicone thermal paste to the module and reinstalling it. I always check the tightness of the heatsink fixing screws, before reinstalling the modules. The modules themselves just needed a little freshening up in this amp. Depending on what my customer asks for, I’ll do more or less at this stage of the overhaul. In this case, the original ERO capacitors came out, two of which were absolutely dead. I pay careful attention to fasteners. In this amp, some of the transistor mounting fasteners were not tight, and the module fasteners were barely finger tight. I remake the solder joints under each transistor after doing this, to remove stresses. Lastly, I clean each board, removing flux where necessary. If the customer wants something more like a restoration, I’ll remove the output devices, possibly replace them, and remake the thermal interface with silicon thermal pads. Close-up of a module. Note the Toshiba 2SD424 transistors, superb devices. The ERO caps are the cylindrical maroon coloured things. Also, note the original LM301 op-amps. I replaced these with TL071 which Quad used in all later iterations of the 405. The TL2071 is an ever better replacement and I’ve gone further with my own 405-2 and others where full restoration is requested. Finished module with new, high-spec caps in place. I use super-low ESR, low impedance, high-temperature replacements in all my work. A better view of the new TL071 op-amp I’ve used as a replacement for the LM301. It’s important to use FET-input op-amps like the TL071, or TL2071 which is better again, in the 405, to avoid problems. Finally, I installed some RCA connectors on the back panel. Whilst not strictly necessary, the owner requested it here. Finally, you can see the modules reinstalled in this shot, and the new panel-mount RCA sockets, waiting to be soldered to. Here they are, connections soldered in place. I now always connect the common ground connection to chassis ground, to avoid any possible DC offset at the outputs. This is not a big deal but helps the amp run cooler and sound better. As you can see, with the RCA sockets installed like this, they basically look as though the amp came this way. It does take up the service holes used to remove screws holding the module in place, but with the correct screwdriver, access is still no problem. From where do you take the signal to the RCA connectors? From the DIN connector, or the module connector? Hi Fredrik, as mentioned in there somewhere, I remove the DIN from the circuit. In most cases it won’t be used again and the extra connections and wire are counterproductive.